Most people see others who have achieved the "impossible" and wonder how they pulled it off. I have some insight into this from my former days as a psychotherapist and the past decade of being a coach in the corporate world and to private clients. 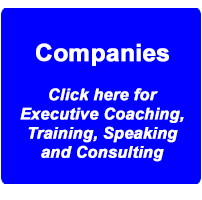 I've been a therapist and now a coach to doctors, special forces operators, airline captains, executives in some of the largest companies, elite sales professionals, business owners, and coached high performing coaches. How do we explain their achievement and success? There are multiple factors involved and this post highlights one of those factors: Elite performers "Stay the course." What do I mean by that? I mean they don't believe in overnight success. They are idealistic but realistic at the same time. They don't demand results come to them in the time frame they want. They stay the course until their results begin to show up, accumulate, and then multiply. That's not easy or everyone would do just that. It's hard because it takes a lot of faith and most people don't have nearly the faith they think they have. I'm talking about faith in yourself and faith in your vision. It takes the kind of faith that persists when there is little or no evidence to warrant that faith. At least not on the level that warrants the risks you have to take. The work you have to put in. There are other factors that explain great success, great happiness or great relationships. It's never one or two things. With that said, one of the key factors is staying the course for as long as is required. It's often a lonely journey. You have to have a vision, a big desire that won't go away and you have to take the steps every day towards that vision. You have to stay the course for as long as it is required to reach the tipping point. If you're in sales and have a dream client, it might take you a year or five years to get them to become a client. If you want a big promotion or if you want to change careers it might take a year or even longer to make that your reality. You have to stay the course. Some things take a month, some three months, some six months, some a year. And some things take longer. Most people stop before even three months or six months. Even more stop before a year is out. It's not that they don't have what it takes to succeed, they just haven't figured out how to stay the course. Often, they don't have the support they need. "How and Why Did You Invent the Leatherman Tool: Here’s the story in a nutshell. In 1975 my wife and I were young and took a budget trip to Europe. We bought a used 1969 Fiat 600 D in Amsterdam for USD 300. We carried a Boy Scout type knife, but often needed pliers. Thus the idea, “add a pair of pliers to a pocket knife.” The trip was long, for nine months through Eastern Europe and all the way to Tehran, Iran and back. Upon our return to Portland, Oregon I asked my wife if she would support us for three months while I went to the garage and tried to build a prototype. Three years later I had a prototype I liked. After another five years in the garage, I finally built a prototype the market wanted. And boy did they want it. In 1983 we (by then I had a co-founder in the business) shipped 200 of our original Leatherman Pocket Survival Tools. In 1993 we shipped over 1,000,000 of them." Mr. Letherman quit his job and his wife supported him for a long time before success came, before the results came. It took him THREE years to have a prototype of his multi-tool knife and then another FIVE years in his garage to get what the market would reward him and his wife. I'm not great at math, but this one is simple. EIGHT years of staying the course. Eight years. That's both inspiring and sobering. If you would like the support you deserve to stay the course, contact me. Email me. Text me. Call me. Read the testimonials on my website or on my LinkedIn page. One thing I'm pretty good at is enabling my clients to stay the course until they achieve a big goal. Sometimes that means helping them discover what that big goal is, what their real dream is. Sometimes it means eliminating the inner obstacles keeping them from feeling happier, more confident and unstoppable. Sometimes you have to clear the field before you can build your dream house. What is your challenge with staying the course? Is it identifying what you really want? Gaining traction? Believing in yourself on the level that your vision requires? More support? If you want me to help you identify what your "course" is or to stay on it until results come in, that's what I do. Contact me and let's talk about how I can help you. 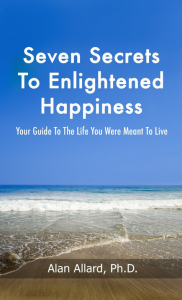 Receive a free chapter from my book when you subscribe to my daily "Coaching Minute" --like having your own "coach in your inbox" to create more happiness, success and fulfillment in life and at work. Enter your best email now and begin using my coaching tips to thrive in life.